MISSION — In their latest push to promote education in information technology, Mission is tapping into one of their biggest resources: women. 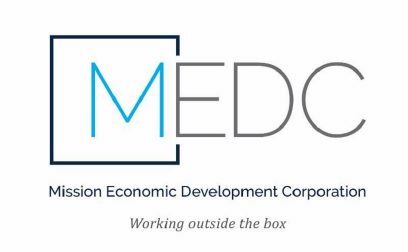 The Mission Economic Development Corporation (MEDC) announced a new program — Web of Women — that will offer free computer and technology classes to women. The program will begin Oct. 17 and last for five weeks, during which 15 students will take a CompTIA IT Fundamentals Certification course which will teach them about networking, cybersecurity essentials, and hardware and software basics. CompTIA, Garza said, is the largest certifying agency for IT professionals in the world. “(With) this certification basically an employer would know exactly what that person learned,” she said. The classes will be held on Tuesday and Thursday evenings — from 6 p.m. to 7:30 p.m. — at the Center for Education and Economic Development. All class and exam costs will be waived for the selected participants. Anyone wishing to participate can apply online at wowmissionedc.com by Sept. 30. The application requests basic personal information, a reason why they’re interested in the class, and how much knowledge they already have. However, preference will not be given to people with more knowledge. This is just the first of several courses that are expected to be taught as part of the initiative. The program will expand into other subjects while continuing to offer the certification course several times a year. Another goal of the initiative is simply to create a comfortable and safe environment to come together. She said the hope is that more women begin to feel comfortable and confident in their understanding of IT.